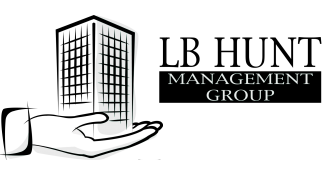 Headquartered in Salt Lake City, LB Hunt Management Group began in 1996 and has grown to one of the premier property management companies in Utah. We specialize in Utah property management and offer the finest commercial, office, retail, multi-family, and tax credit property management services anywhere in the state. With rentals stretching from Tooele UT to Page AZ, we can help you manage your properties no matter the size, class, or location. View the list of properties. Our entire team is passionate about property management so you can have peace of mind knowing that you are in the good hands of a highly diverse team of experienced professionals. We take great pride in training our staff to be the best in the industry by constantly reiterating providing world-class service to our customers as well as emphasizing each individual's professional and personal development. We believe that each customer is special and deserves to be treated with the utmost respect and care. One of the best ways we provide you with this exceptional, transparent service is that we go the extra mile to take care of your tenants. We have a "Shoes in the Dirt" policy that pushes us to personally visit each site and each tenant because we want to break the mold of invisible management. We have 24/7 emergency service crew members on call in case any emergencies arise and work to give your property an amazing curb appeal. Simply put, we make you look great! In addition, we will always be transparent by never adding extra charges or hidden fees to our billing and providing you with detailed monthly reporting for operations and financials. These regular reports are easily customized to show the Key Performance Indicators that are important to you. We guarantee you'll be happy with the service you receive. Contact us to request a free quote today!